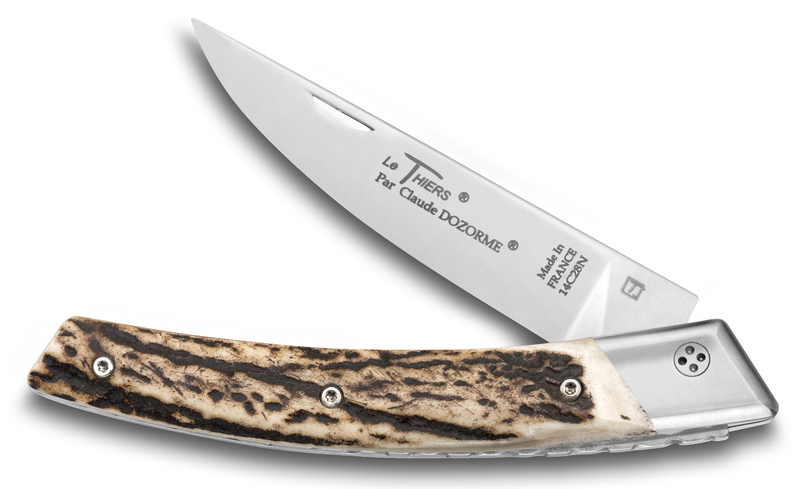 Le Thiers® RLT pocket knife is unique thanks to its original opening-closing mechanism. 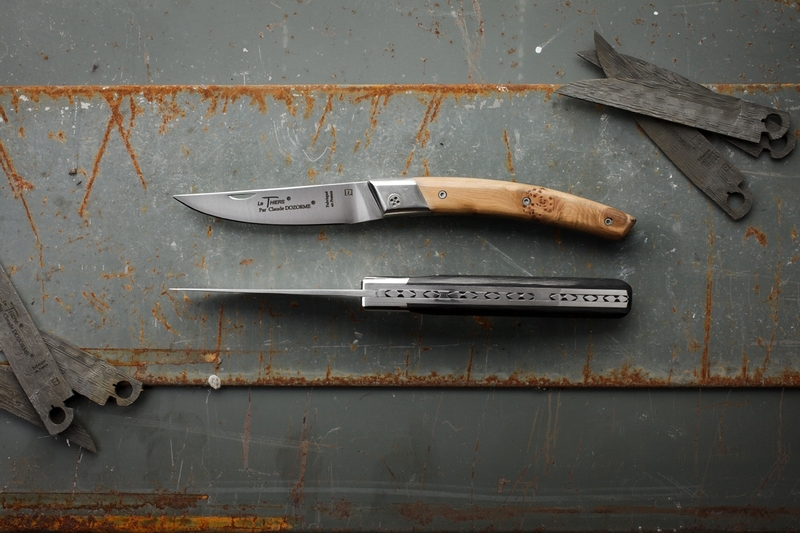 Indeed, this pocket knife has a ball bearings system. 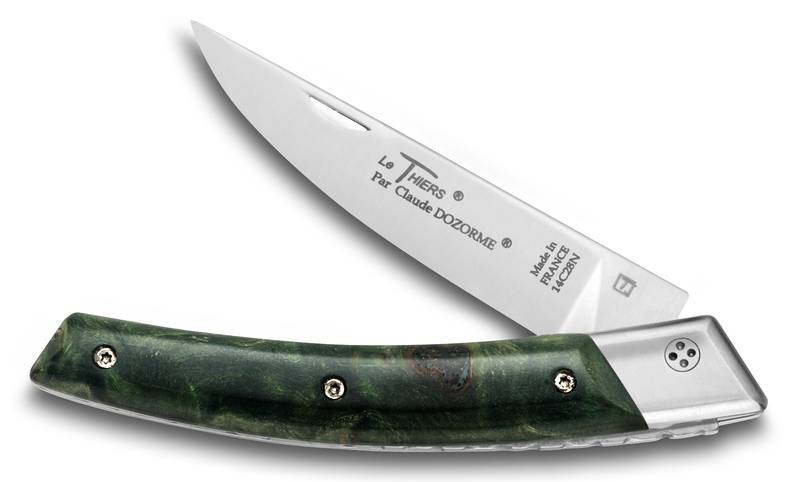 To ensure that the blade does not come loose over time, Claude Dozorme knives are made using a genuine ball bearings system that replaces the original nail locking system. 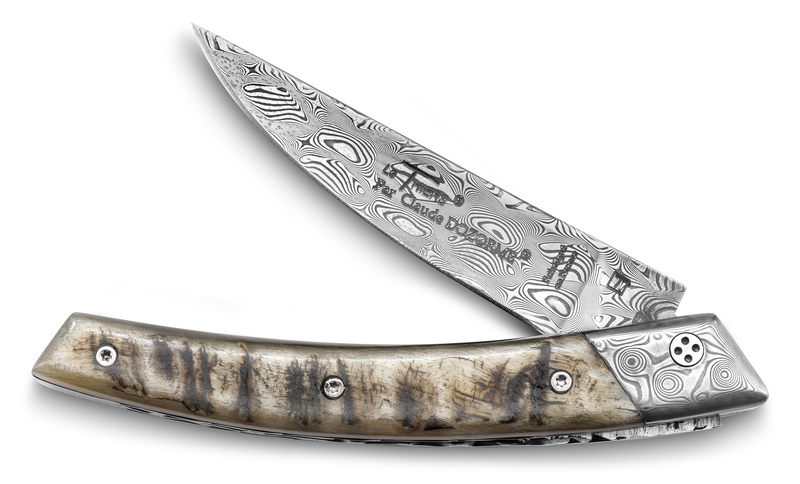 Moreover, the opening and closing mechanism of Claude Dozorme pocket knives that ensure simple, safe handling designed and developed by the company, are without a doubt the embodiment of this “modernised tradition”. 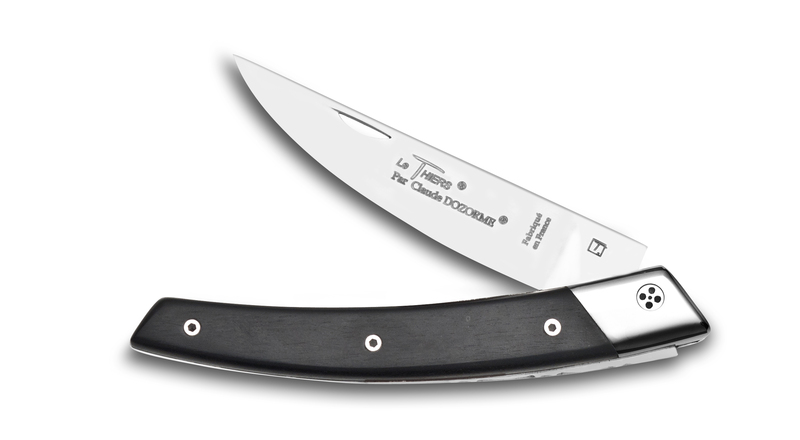 Robust and massy, this pocket knife gives a very ergonomic handling. 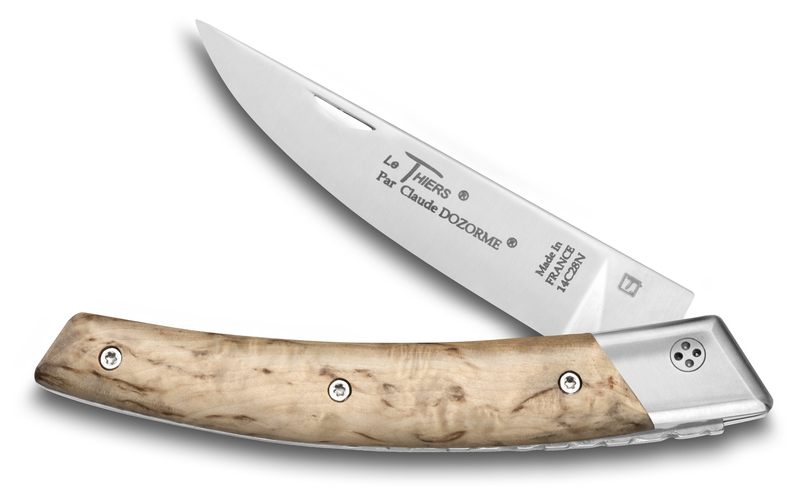 Furthermore, the shape of this knife is Le Thiers® shape, from the city of Thiers, French capital of cutlery. 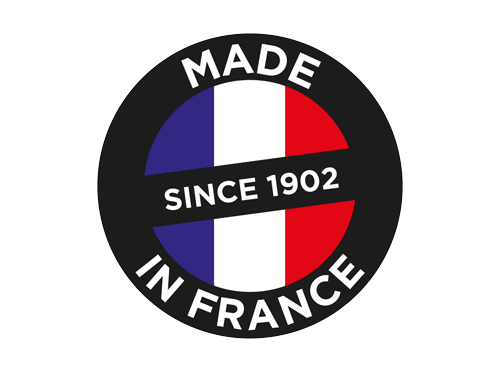 This shape is protected, and it can be produce only in Thiers. 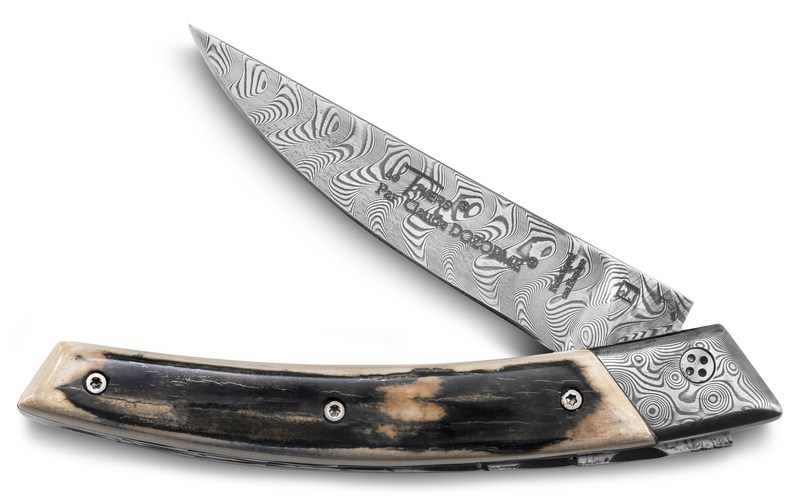 This pocket knife proffers a lot of material (wood, horn, carbon, …) for the handle of the knife. 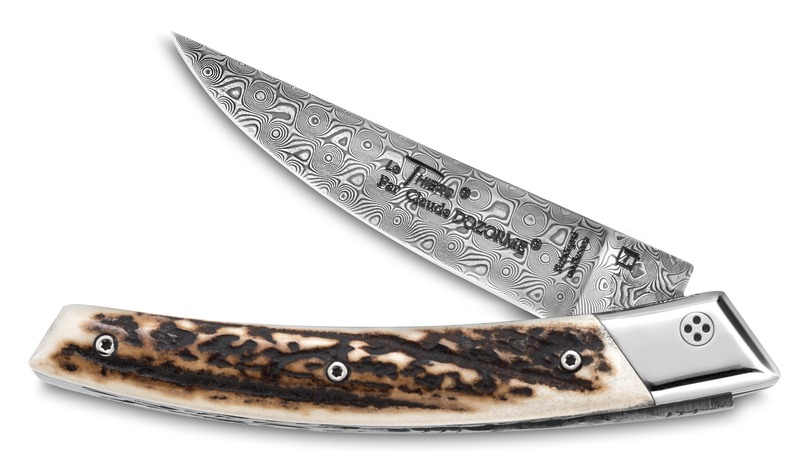 Moreover, this knife is unique thanks to the precision given to the details. 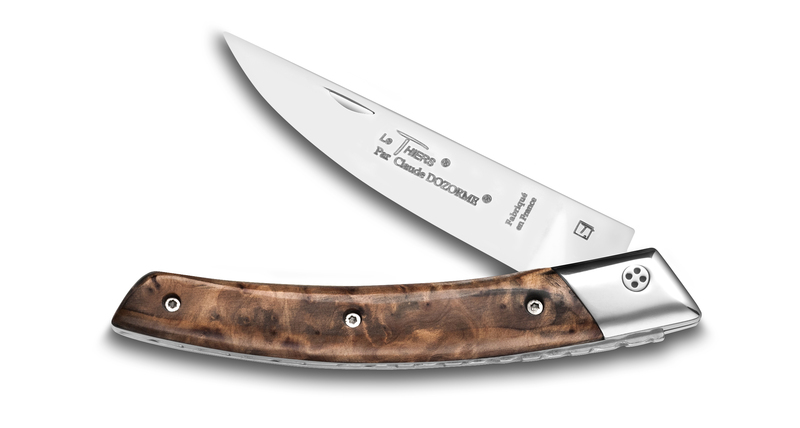 There is a guilloché work on the spring, and a sharp-edged mitre which facilitates holding of the blade when opening knife. 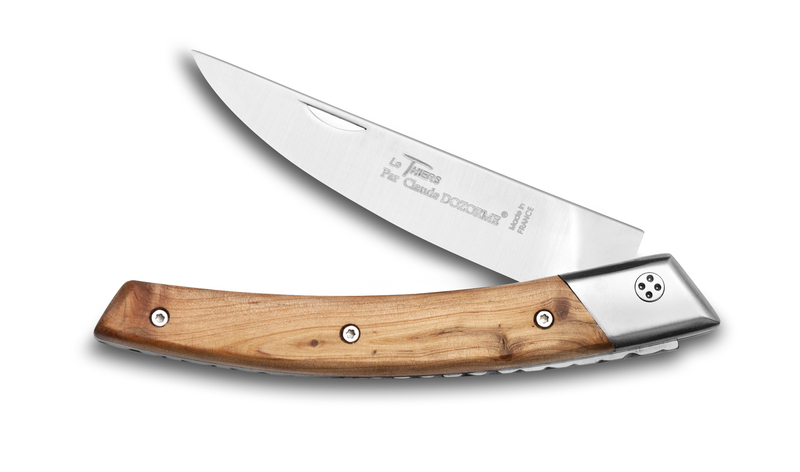 Finally, the steel used for the blade of Le Thiers® pocket knife is the Swedish steel 14C28N. 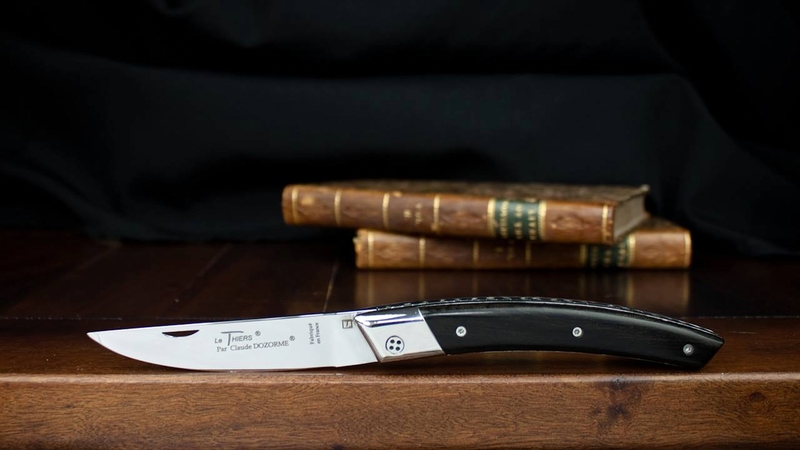 It’s a very high quality razor steel, which cuts very well and is very easy to resharpen. 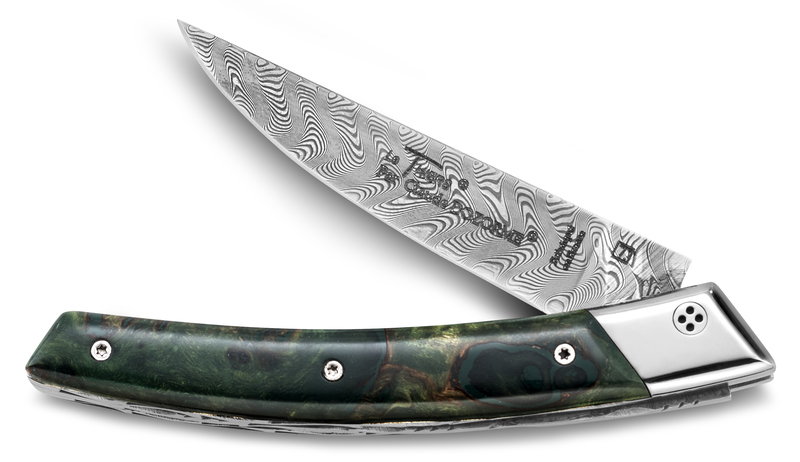 It’s a stainless steel boosted with nitrogen and without any primary carbide. 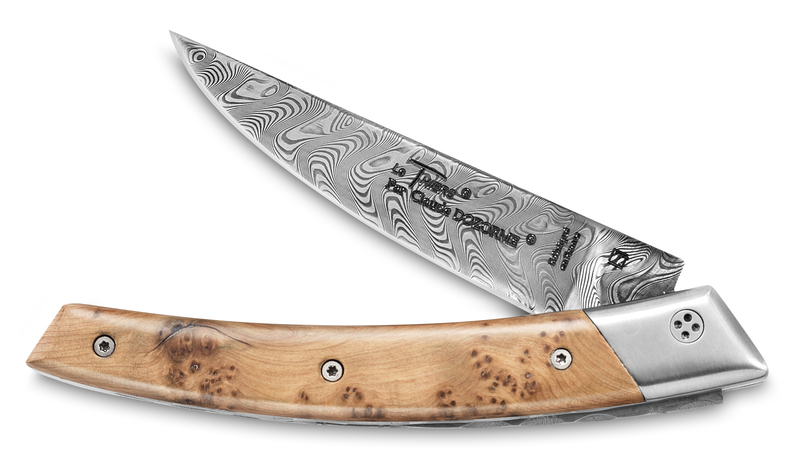 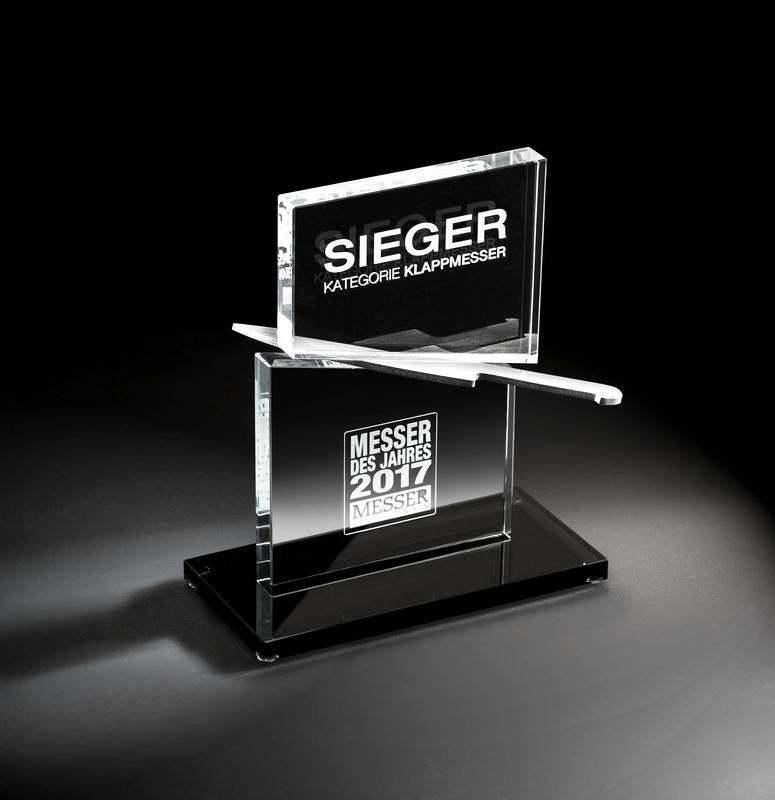 So, the blade maintains its cutting edge and its shine. 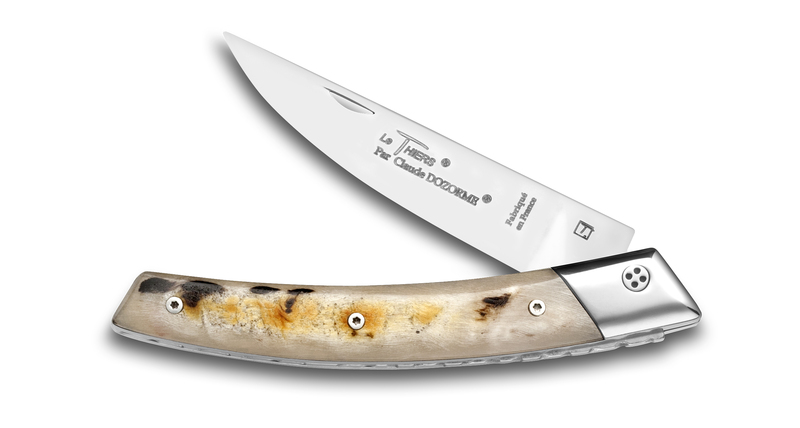 Manufactured in the hundred-year-old cutler workshops, this pocket knife is 100% made in France and craft. 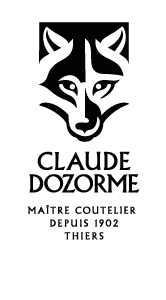 All Claude Dozorme knives are produced in respect of the cutlery tradition.